MFS Consulting Engineers, 2780 Hamilton Blvd., South Plainfield, 908-922-4622, www.MFSengineers.com. 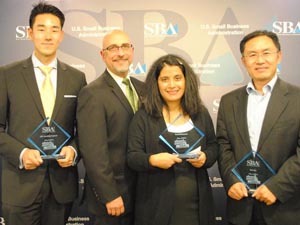 After spending eight months and logging in a combination of 100 hours of work and evening class time, the New Jersey SBA graduated its first class of Emerging Leaders on Thursday. In February of this year, Newark was one of four new cities to have been chosen to participate in the agency’s 2014 Emerging Leaders initiative, an intensive executive-level entrepreneurship training program for small business owners in 27 cities and communities across the country. Participants had to have annual revenues of at least $400,000; have been in business for at least three years; and have at least one other employee.